Representative Ferengi DaiMon. First member of the Ferengi Alliance to make visual contact with humans. Claimed he sought "only what is equitable." 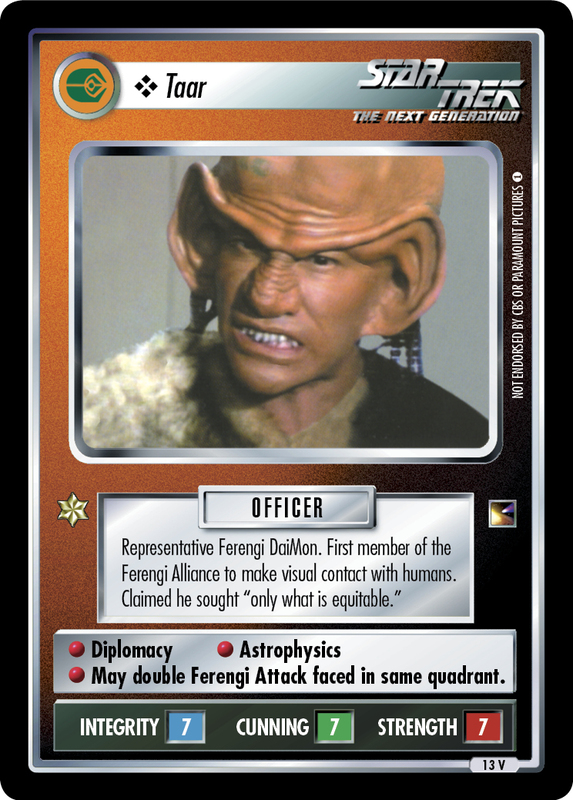 • Diplomacy • Astrophysics • May double Ferengi Attack faced in same quadrant.